polish insomniac: Vintage Couture Part Two - Channelesque! Vintage Couture Part Two - Channelesque! China Glaze Channelesque is a polish that I honestly never thought I would be able to get my hands on! This polish was sent to me by my dear friend Toni. She is a real gem for tracking this baby down for me! 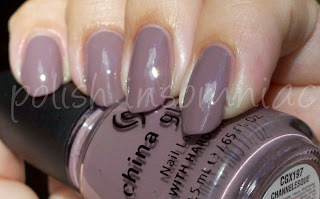 Channelesque came out in the China Glaze Couture Cremes collection, along with yesterday's polish, Who's Wearing What. I wish I could say that the formula on this polish was as good as No Name Yet and Who's Wearing What. Unfortuanetly, this polish required three coats, the first two went on very uneven. It did not self level on the third coat, so for these pictures I did add a layer of SV. 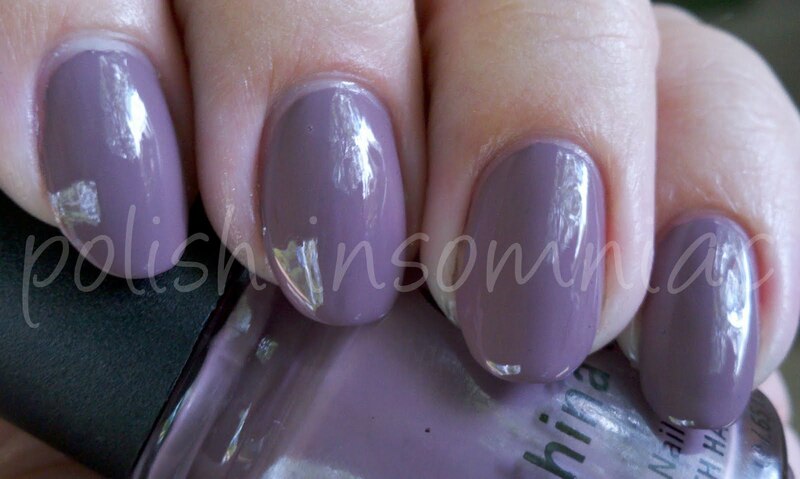 Good formula or bad formula, this is still one awesome polish! The prettier the polish, the more forgiving I am. I am sure we are all that way! I don't believe any "reputable" e-tailers have this in stock any longer. However there are a few "dupes" out there. One is Confetti Moonstruck, which can be found at CVS. But if you are interested, go NOW because the company which makes Confetti is being sued by Sally Hansen. Fun stuff! Another possibility is the new collection from China Glaze themselves, Anchor's Away. At this time I do not recall the name of the polish, but I will update this post as soon as I figure that out! Essie Merino Cool, which is compared to Confetti Moonstruck and Catrice from Dusk til Dawn here by Jen The Polish-Aholic. Also, Pro 10 Showtime, which is the same thing as Confetti Moonstruck, just in a bigger bottle and 2x the money. Pro 10 and Confetti are owned by the same company, Pro 10 probably won't be around much longer either. So if you don't want to pay $8 for Essie, RUN to CVS NOW! Playing with my new Ottlite! Because It's Fall Mini Minis Giveaway!